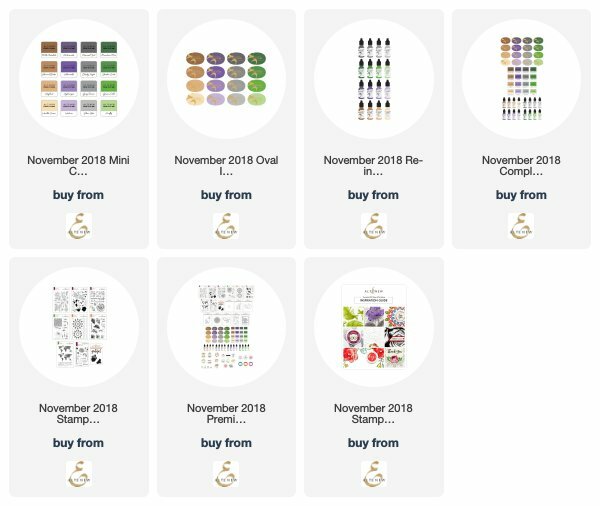 SOAPBOX CREATIONS: Altenew November 2018 Stamp/Die Blog Hop..
Hi friends! I am so excited to be here today with the latest Altenew Release. November release has lots of fun stuff and I have several things here to share today. Click HERE to see the full November Release. 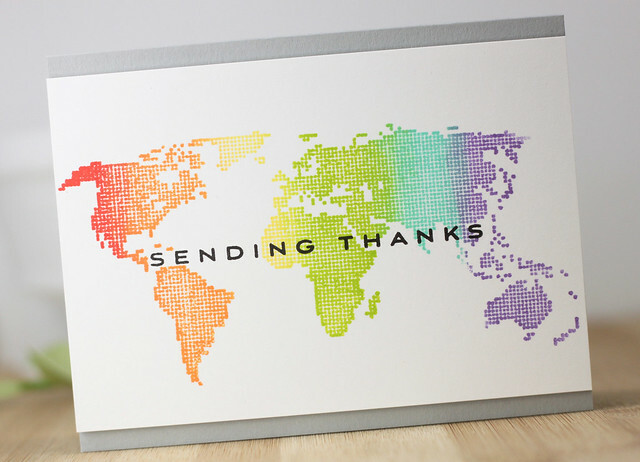 To create this card, I added the world map stamp to my misti and added ink in rainbow order with makeup sponges. I love how those little sponges work to add ink and help blend it too. I added the panel to the gray card base with fun foam after stamping the sentiment in black in across the front. Super easy and super simple! Using Altenew inks, I added the perfect rainbow colors leaving lots of white space so those colors pop. I die cut the thank you die 4 times and stacked them all on top of each other for some dimension. I added that to the card front and then finished it off with a strip of Score Tape along the top. I sprinkled glitter along the tape for a little bit of bling for the card. 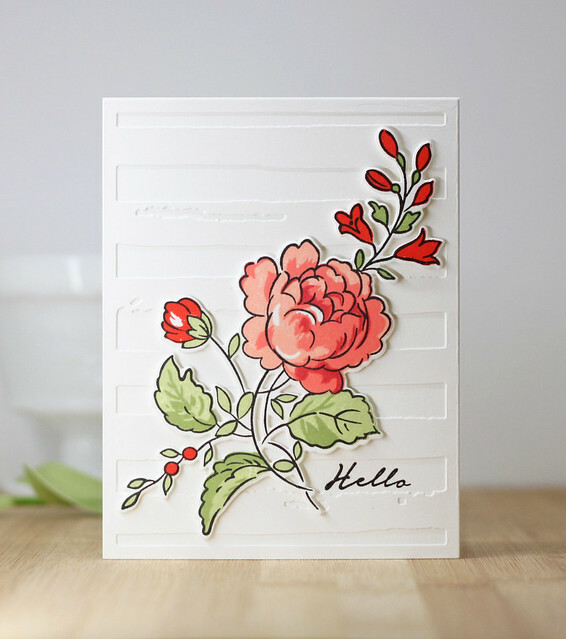 After stamping this super simple book, I added the Hello to the card front in between the watercolor stripes and then added the flower to the front with foam tape. 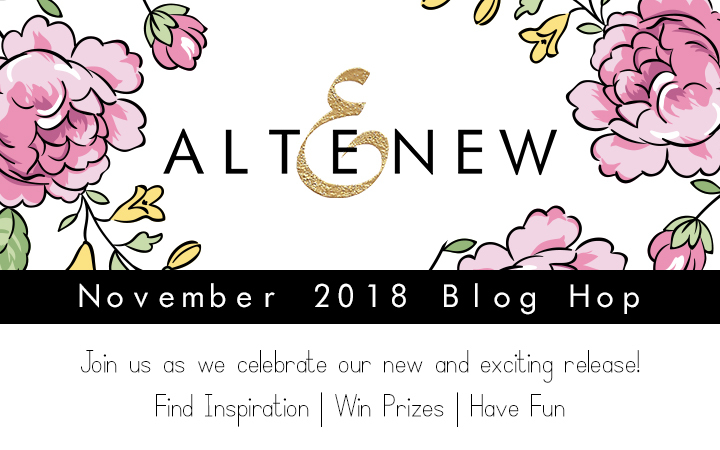 Altenew has one more fun thing this month...stickers! 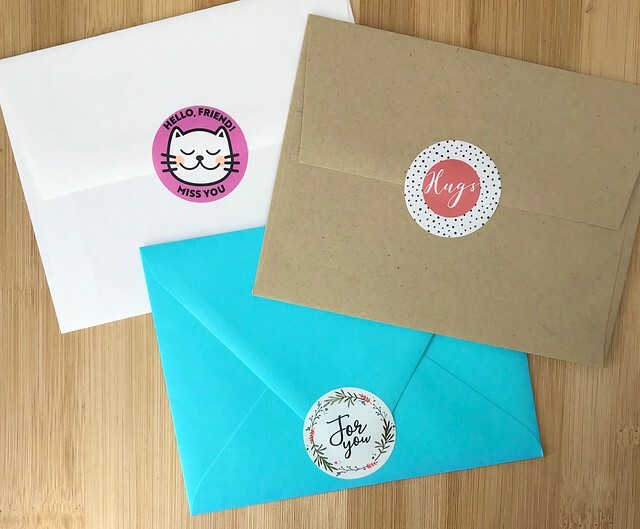 Here are 3 stickers used on envelopes. Delicate Blooms, Friendly Cats and Envelope Stickers. 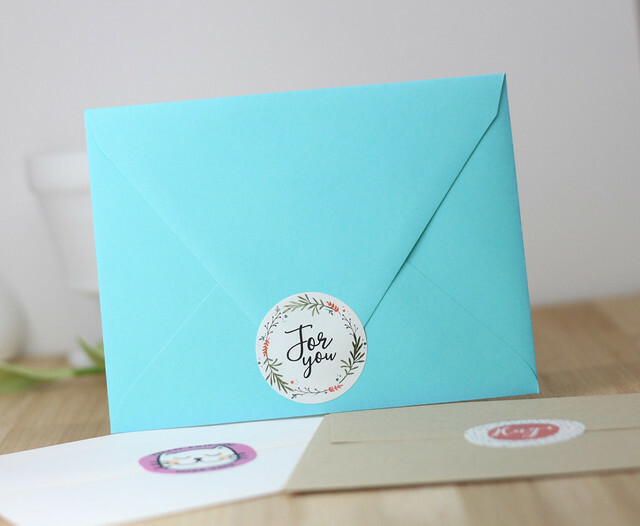 Lots of colors and patterns and just the perfect detail to add to your card! So that is it from me today. I hope you have enjoyed my clean and simple projects! I hope you have enjoyed my stop on the hop. Thanks so much for coming by and I hope you have a great day! Beautiful cards! I've been looking for a world map stamp for a while for all my across the miles cards to family - I love what you did with this one! 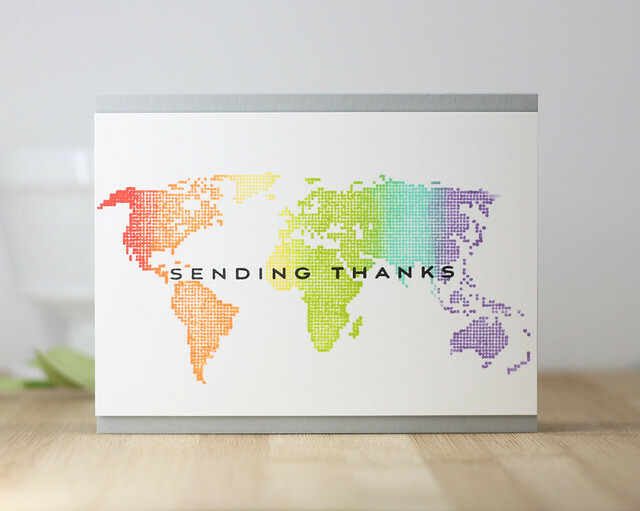 Great cards - I love your rainbow map card - that is so pretty! Gorgeous cards, Laurie! I love the rainbow of colors on the first few...so fun! Such amazing cards Laurie! I’m so excited to play with the new stickers!!! Great cards... love your CAS designs so much! All of your cards are so lovely, Laurie, love them all! How fun are the stickers, too?! I love the new stickers and all your fabulous CAS designs Laurie!! Thanks for the inspiration! Your cards are great, I adore the rainbow ones. Fabulous cards! I love the multicolour world map - what a great idea. Love those rainbow colors, especially with the dots. Well, I like all of these, Laurie. So simple and so effective! All three cards are so fresh and clean. I like how the world map is on a grey base... looks great. Love these cards, Laurie! the last one is my favorite - so beautiful. Lovely cards !! The thank you card is my favorite !! Love the floral card, it’s gorgeous. This is one the best release is over. Laurie,such a gorgeous card with the flower. Beautiful job on your coloring and blending. I also love the globe stamp set. Very pretty card with that set. Love the world stamp card! Such gorgeous cards !! Love them ! Love these beautiful and fantastic creation! Oh what happy and lovely cards! Beautiful clean designs. Gorgeous cards. I love the rainbow world map card. It is so colorful. Thanks for the inspiration. I really love the colors you used on your flower card. :) So pretty. The cards are really pretty. I especially love the Thank you card with the confetti background. I also love your use of embossing in the backgrounds. TFS! Hi Laurie, loved your cards. They're clean and simple but beautiful. Thank you for sharing your talent with us and for being such an inspiration to many of us. Love the clean look of your cards -- love the way you use color to great advantage. Love the rainbow confetti cards! So fun. Beautiful, lovely cards. The Kind Confetti stamp makes a splendid background for a variety of focals. Lovin' this new Altenew release. All your cards are so cute . Love them so much. love all of these!!! so bright and crisp :) I can see I *need* the confetti stamp and the watercolor stripes die! Love how you used the World View stamp and all your cards are beautiful. So much goodness! 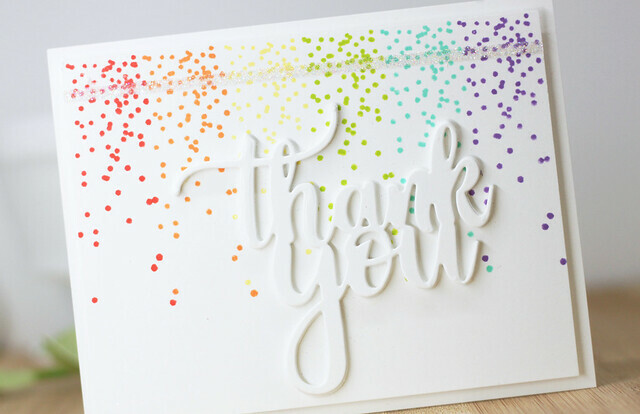 Love the rainbow cards, especially the confetti thank you...makes my heart happy! Thanks for sharing this collection of beautiful projects! 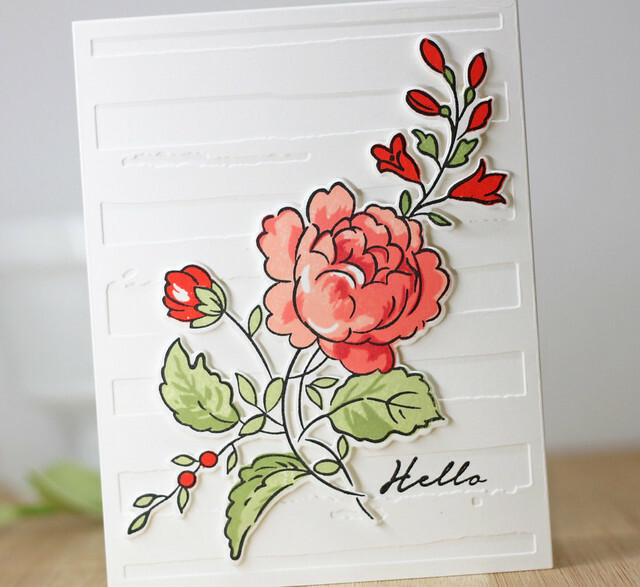 Beautiful 'Hello' card! Thanks for sharing. Beautiful cards! Love the Handpick Bouquet stamp set. Love your rainbow cards, especially that confetti one! Fabulous products in the new release. Your cards are lovely. Yours is the 1st card I've seen using the map stamp. It's gorgeous. So is the confetti one. There's so much inspiration in this blog hop! Love the rainbow colors in the first two cards. that complements your flowers beautifully! Awesome creations! I especially love the rainbow globe! All of your cards are great, but especially like how the World Map card turned out. Love your last card with the stripes background. Lovely! Beautiful Cards! I really love the way you did the confetti on the thank you card! Great cards!! The Handpicked Bouquet is my favorite. Wow Laurie! I love your clean styling, fresh design and simple compositions!!! Well done :) Thanks!!! Hooray for all the rainbows. With a large snow storm that came our way recently, I could use some rainbows. Thanks for sharing! Very pretty cards, love the rainbow map and confetti, and the bouquet. The stickers on the envelopes is a great touch too!! Beautiful cards. The world map stamp is one I didn't think I needed until I saw your card -- I love it. Lovely cards. Such fun with the dots. I really like the Kind Confetti stamp! so pretty what you created with i!! beautiful cards, love the world map and the rainow confetti! I just love your cards! They are so beautiful. :) What a great release. Wonderful cards. Love the rainbow of colors on the first two. Beautiful cards! 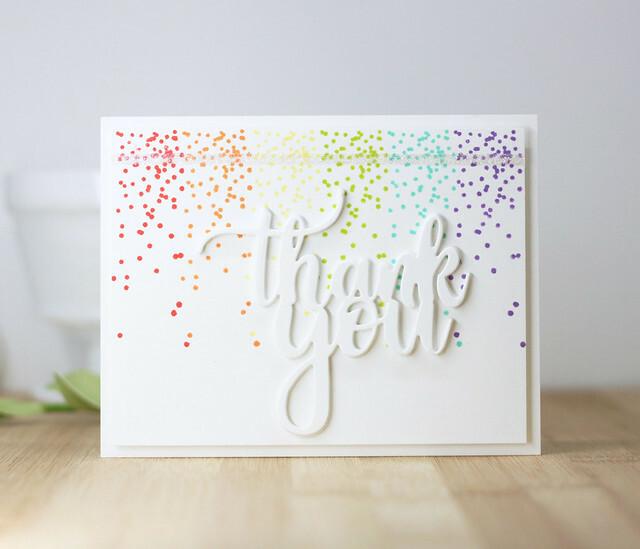 Rainbow patterns are always a favorite of mine and the flower card is gorgeous. Stunning card! I really like these new envelope stickers, too! 💗💗💗 3 Stunning cards. TFS. Beautiful cards! Love the rainbow map!